The Salek Minc Lecture Series is co-presented by the Lawrence Wilson Art Gallery and the Institute of Advanced Studies. Salek Minc (1905-1983) was a medical practitioner, art patron and collector. Born Salomon Minc in the small Russian, now Polish city of Seidlic, he was the younger son of Jewish parents. The Minc family experienced anti-Semitism during the Russian Revolution and, after his father was killed, Salek, as he became known, fled with his mother and brother to Warsaw. He studied briefly in Belgium and in 1922 he moved to Italy to study medicine. On graduating from the University of Rome in 1930, he married Latvian-born Rosa Reisa Temko. Minc became an Italian citizen in 1932, working as a doctor in Rome. During his time in Rome, his burgeoning love of art brought him into contact with many young painters, whose work he began to collect and many with whom he became friends. But in 1938, when Mussolini stripped Italian Jews of their citizenships, Minc was forced from Rome. He moved to England and then decided to migrate to Australia, arriving in Perth in 1939 with eight languages, and a deep interest in contemporary art. His wife followed soon after. In Perth, Minc established a medical practice as a specialist physician and cardiologist, with a special interest in preventive cardiology. Missing the civilisation of pre-war Europe, he joined with other Perth intellectuals in forming the Banana Club, whose members met in the back room of a fruit shop in St. George’s Terrace. Members sat on banana boxes and discussed a different topic each month. From about 1954 he made frequent visits to Europe, and amassed an art collection which was eventually about two-thirds European, and the rest Australian. He took many photographs at exhibitions and art studios and showed them at talks he gave in Perth for the Adult Education Department, the University of Western Australia’s Summer School and the Festival of Perth. For many in Perth, it was their first opportunity to see modern art. He was a founding member (1948) and a chairman of the Art Group and was an early president of the Art Gallery Society of Western Australia, with which the Art Group merged in 1951. From 1964 he lectured on art at the summer schools and he was a founding member (1973) of the University’s Art Collection Management Board. He was also a vice-president of the International Association of Art Critics, Australian division. He helped establish the Skinner Galleries, and encouraged young artists. His close friend Tedye McDiven described his collection as being based on patronage rather than a theme. 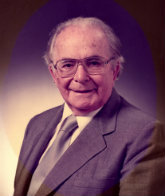 In 1986 the McDivens built a gallery at their property in York, naming it the Salek Minc Gallery in his honour. His collection was shown there until the Gallery was closed in 1998 when the McDiven’s moved, and the collection was dispersed. Minc, who became an Australian citizen, continued to work as a doctor until 1983. He died on 10 February that year at his Crawley home and was buried with Jewish rites in Karrakatta cemetery. In 1980 the University’s Art Collection board recommended to Senate that the annual series of lectures on art history sponsored by the University Art Collection Board of Management be known as the Salek Minc Invitation Lecture Series. His connection with the University of Western Australia continues with an annual Salek Minc lecture, sponsored by the Lawrence Wilson Art Gallery. Cohen, A. (2013) "Who was Salek Minc". Published at UWA News Staff Magazine.